Lean In to the one voice that matters — M.L "Cissy" Petty, Ph.D. 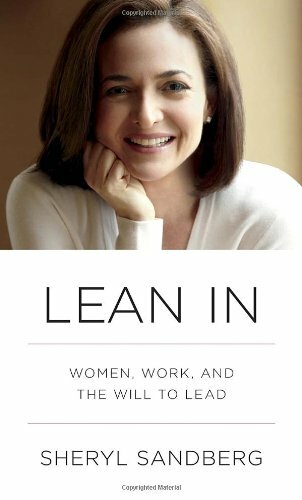 Many of my friends and colleagues have read or are in the midst of reading Sheryl Sandberg’s book “Lean In.” The content of the book has certainly garnered its share of rave reviewers and snipers. Sandberg leans into the criticism and acknowledges that she has led a privileged life; however privilege may allow entrance but it doesn’t guarantee a voice at the table. Finding one’s voice is perhaps the single most important life and leadership lesson. You cannot have a successful relationship at home or at work without the ability to be authentic, vulnerable; speaking your mind while minding your manners. Having a ‘voice’ at the table rather the board room or dinner still requires strength and courtesy. There have been many times in my own career when I have been interrupted while trying to get a point across; I have had both men and women talk over me. It reminds me of a large family eating and folks all reaching for the last biscuit. I have in turn interrupted others, not listened well, all in the name of scrambling for a foot hold on sharing the best idea. When I hear the words “lean in” I think of slowing the process down. Taking the mantle of authority down a peg and listening to one another fully. Leaning in requires us to take stock of our strengths, acknowledge what we know and don’t know. Leaning in is the pre-requisite to leading on. Finding your voice requires patience, respect, timing and will. Having others desiring your voice at the table requires competence, courage, and the willingness to speak truth to power. "What Would You Do If You Weren't Afraid" is a new project by Sheryl Sandberg and the Lean In team that asks the question and inspires stories. More information can be found at www.ifuwerentafraid.tumblr.com.